By Pharrell. Arranged by Marmpy. Score, Set of Parts. 18 pages. Published by Marmpy Music Ltd (H0.222079-255965). 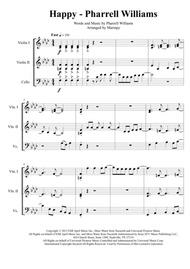 Our string trio arrangements are suitable for two violins and cello or violin, viola and cello. 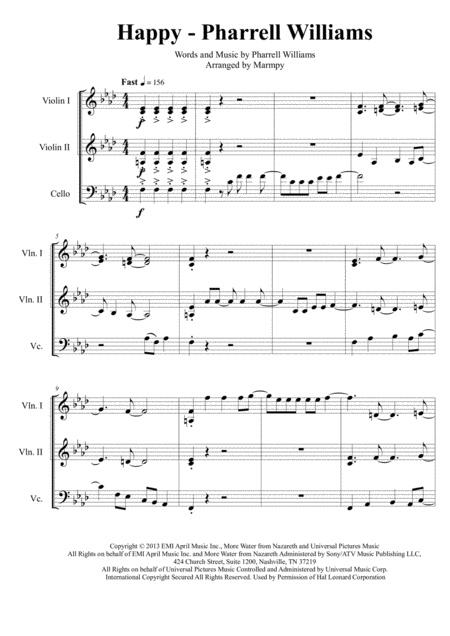 The arrangement is sold with an optional viola part that is interchangeable with the 2nd violin part so that either instrumental combination may be used.